Cliff Zukin is Professor of Public Policy and Political Science at the Edward J. Bloustein School for Planning and Public Policy and at the Eagleton Institute of Politics. He also holds the position of Senior Scholar at the John J. Heldrich Center for Workforce Development, where he is co-director of the Work Trends project. He also currently serves on the Executive Council of the American Association for Public Opinion Research (AAPOR). 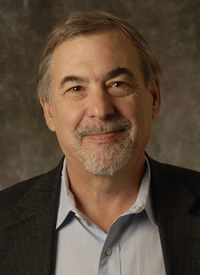 Zukin did his undergraduate work at the University of Oregon and received his Masters and Ph.D. degrees in Political Science at The Ohio State University. He came to Rutgers in 1977 and took over as Director of the Eagleton Poll in 1979. He has done public opinion work in NJ since then, serving as the founding director of the Star-Ledger/Eagleton-Rutgers poll and of the Center for Public Interest Polling at the Eagleton Institute. His research and teaching interests are in the areas of public opinion, voting and elections, survey research and New Jersey politics. He is co-author of two books, Uninformed Choice: The Failure of the New Presidential Nominating System, and A New Engagement? : Political Participation, Civic Life and the Changing American Citizen. Zukin is one of the leading figures in applied political science research in the country, having been in the New York Times more than 75 times and on NPR on more than a dozen occasions. He has worked as a consultant for NBC news and the Voter News/Research service and Edison/Mitofsky research analyzing exit polls in the country’s midterm and presidential elections for parts of three decades. He also served for 15 years on the Board of Advisors of the Pew Research Center in Washington, and on the Editorial Board of Public Opinion Quarterly. Cliff has also been highly visible in the public opinion/survey research profession in the U.S. having been elected to three different positions on the AAPOR Executive Council, including serving as President. AAPOR is the 2,500 member governing body/professional association of survey and public opinion researchers in academics, the public and private sectors and government. 2010: “Implications of the Growing Use of Wireless Telephones for Health Care Research,” Health Services Research V44, No.5 October, 2009, pp 1762-1772. 2006: A New Engagement: Political Participation, Civic Life and the Changing American Citizen, with Scott Keeter, Molly Andolina, Krista Jenkins and Michael X. Delli Carpini, Oxford University Press, 2006.